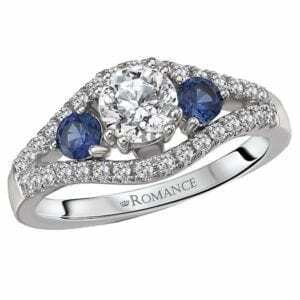 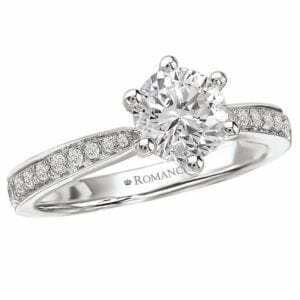 25272 Diamond Engagement Ring 0.60 Ctw. 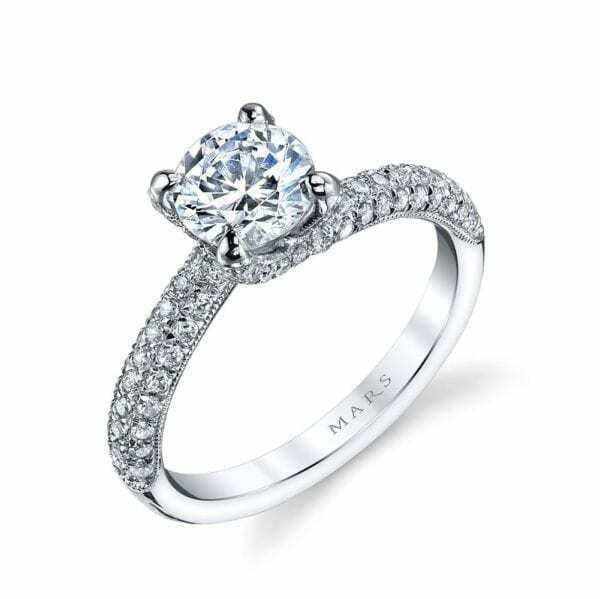 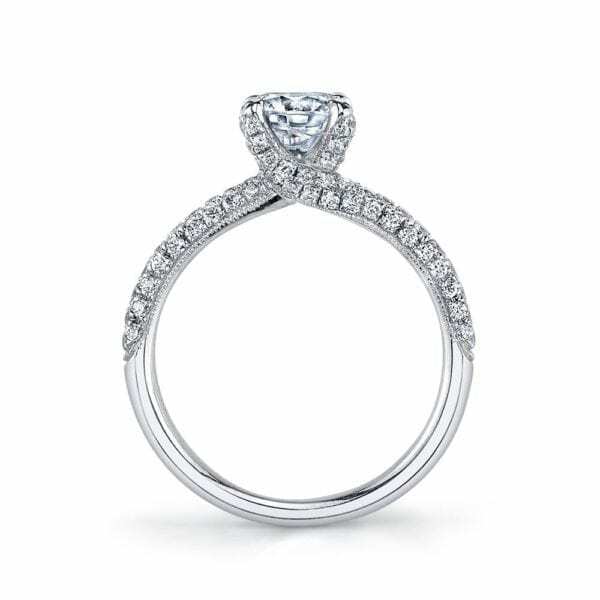 A Domed Micro Pave Engagement with Bypass Diamond Shank and Claw Set Prongs. 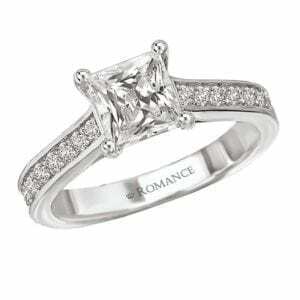 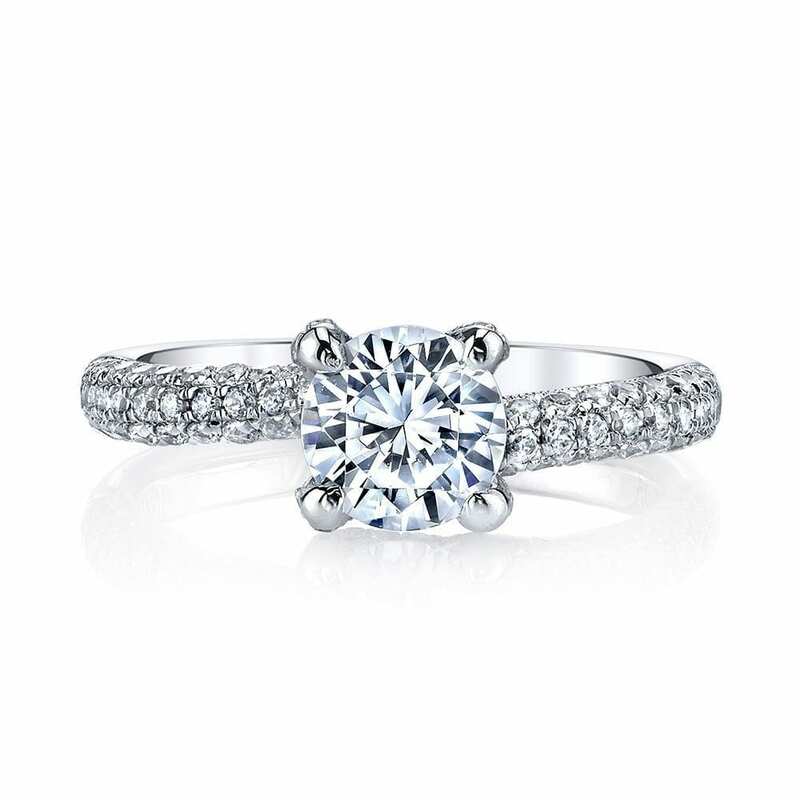 Shown in White Gold with One Carat Round Brilliant Cut. 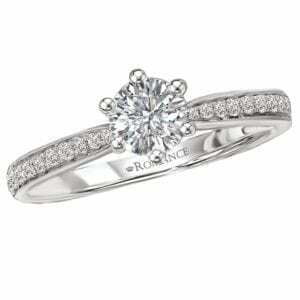 Side Stones: 0.60 Carat Total Weight.